These beautiful looking falls are the Montmorency Falls near Quebec City, Canada. 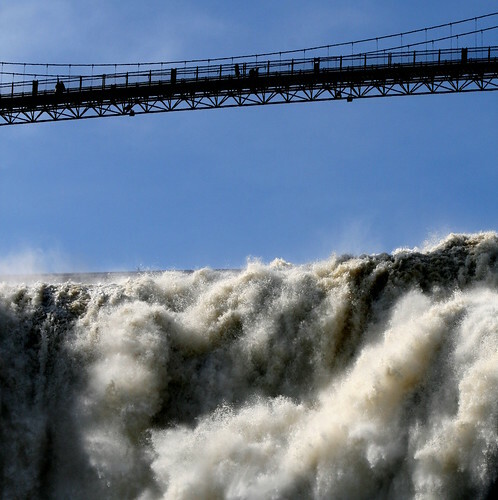 With an height of 84 meters these are 30 metres (98 ft) higher than the famous Niagara. 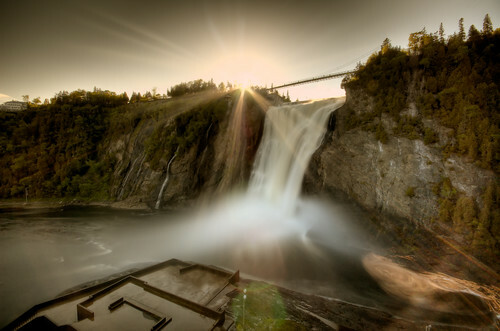 The falls are at the mouth of the Montmorency River where it drops over the cliff shore into the Saint Lawrence River. One of the main attraction at the falls is a narrow suspension bridge over the crest of the falls. Besides providing access to two ends of the falls it also gives a spectacular view. However it is not for the weak kneed - standing on a wiggly bridge over tons of swirling water falling down in the deep, can give jitters even to the brave hearts. 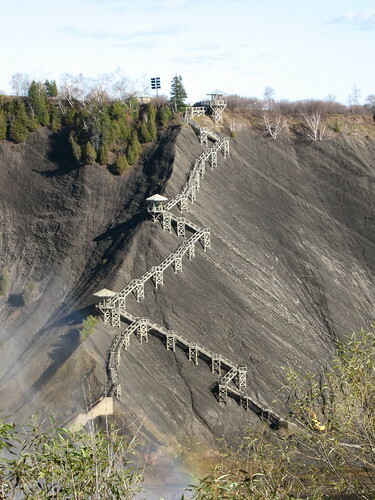 There are staircases as well a cable car which carries tourists between the base and the top of the falls and gives the visitors views the falls from several different perspectives. You have an interesting site here. I'm glad my photo could be of service to you.